Piano Performance is offered through the Division of Music in the Warren M. Angell College of Fine Arts. All students within the division study music theory and history, develop skills in a primary and secondary musical area, have multiple solo and ensemble performance experiences and are guided by faculty members who are professional, compassionate and committed to the call of Christ. The piano performance degree equips students with the knowledge and skills to learn and perform pieces from the vast amount of high quality literature written for the piano by master composers throughout the instrument’s history and across the various style periods. Students may also choose to include a Pedagogy Emphasis with their Piano Performance degree, which allows them to integrate the study of teaching with the study of performing. 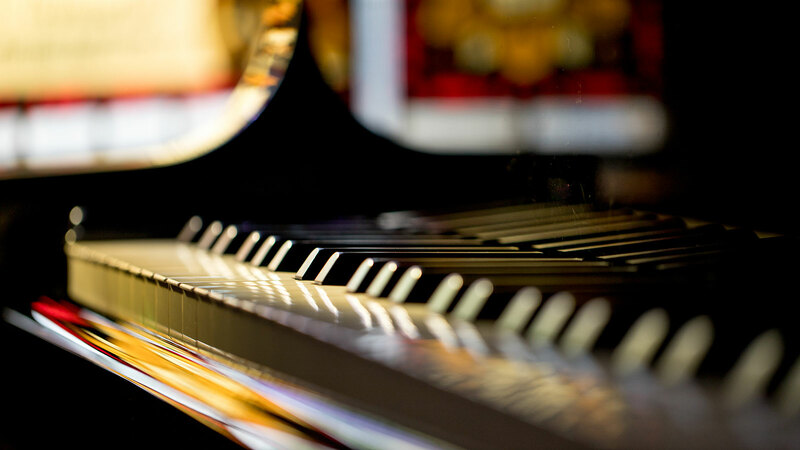 What makes an OBU Piano Performance degree special? The degrees in Piano Performance and Piano Performance with Pedagogy Emphasis are studied within the context of OBU’s Christian liberal arts education. Our committed Christian faculty are esteemed in their field and dedicated to providing you with personal attention and quality instruction necessary for growth and continued success even after graduation. At OBU, pianists have many opportunities for performance. In addition to weekly applied lessons, students may perform in weekly studio classes and piano seminars, as well as frequent Division of Music recitals. Other performance opportunities include chamber music, accompanying applied lessons or a choral ensemble, master classes with renowned guest artists and our yearly concerto competition. What are OBU grads doing with their Piano Performance degrees? Graduates with the Bachelor of Music in Piano Performance degree are now active solo and chamber musicians and accompanists; teachers in thriving independent studios, preparatory schools and universities; and are involved in church music and music missions in the United States and other countries. Many graduates have continued studying Piano Performance as well as Piano Pedagogy at graduate schools across the nation, including Baylor University, Eastman School of Music, Indiana University, Oklahoma City University, Oklahoma State University, Rider University, Southern Methodist University, Texas Christian University, University of Missouri Kansas City Conservatory, University of North Texas and the University of Oklahoma.